Four armies of alien micro-monstrosities clash in a challenge to the last jump! 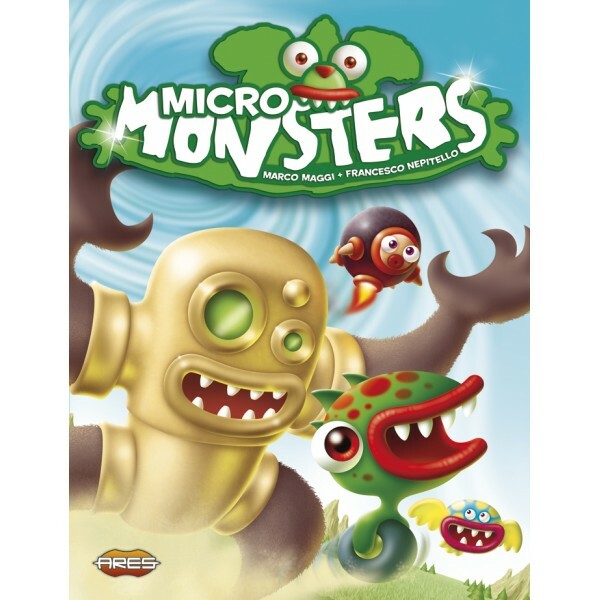 In Micro Monsters, four races of horribly cute aliens – Autogators, Bigbears, Finbacks, and Turboturtles – face off, with each race wanting to close the rival monsters' dimensional gates. 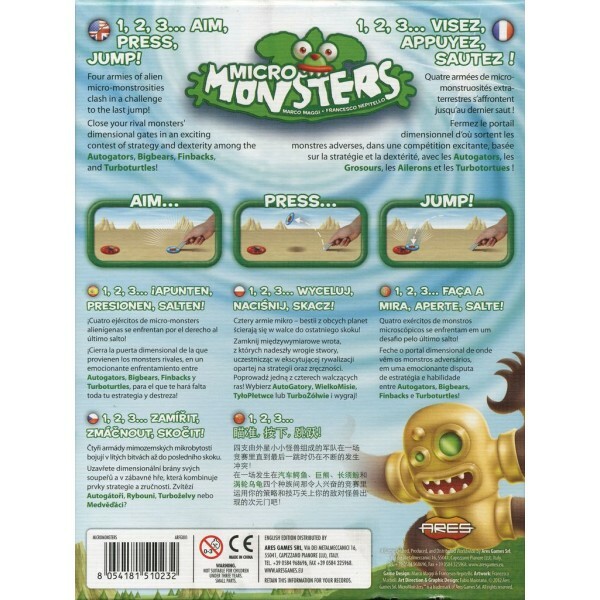 Using dexterity-based game play similar to that in MicroMutants and X-Bugs – and more commonly seen in Tiddly Winks – players in Micro Monsters "shoot" their monster tokens across the playing area by pressing on one edge of them with a "monster shooter" to send them flying. Land on an opponent, even with the tiniest bit of your monster, and you capture that opponent's token, removing it from play. Land on an opponent's gate, on the other hand, and you remove one of that opponent's energy tokens; take an opponent's final token and she must flip her gate to the damaged side. Land on a damaged gate, and that opponent is out of the game! 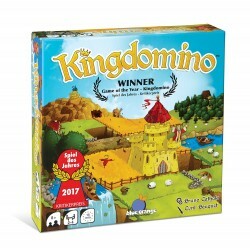 At the start of a player's turn, that player first rolls a die. If he rolls a monster, he takes his normal turn; if he rolls his race's special symbol, he uses his special alien power: Autogators move two separate monsters on the same turn. Bigbears move one monster, then place a trap on an opponent's monster to immobilize it until the next Bigbears turn. Finbacks move the same monster twice on the same turn. Turboturtles move one monster, then place a shield on it that prevents it from being captured until that player's next turn. The last player to have an open gate – whether damaged or not – wins! 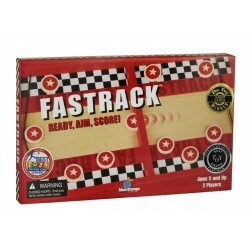 Gameplay Aim... Aim... Pres... Press... Jump! Jump! 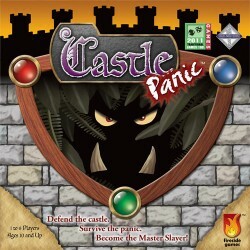 Each player leads a unique race of micro-monsters, and protects a gate. Players seal each others’ gates by jumping on top of them with their micro-monster chits. The winner is the last player whose gate remains open. 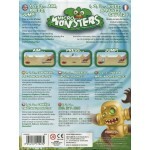 The Micro Monsters box includes four breeds of creatures: The angry, always-accelerating AUTOGATORS - These green, reptile-like wheeled monsters attempt to overwhelm the opposition with their maneuverability: when you get the special icon on the die you move two Autogators of your choice! The bossy, brass-bolted BIGBEARS - Slow as stuffed teddy-bears can be, Bigbears want to stop everything that moves quickly, like those pesky Autogators for example! Get a special icon on the die and you can catch a creature in one of your traps. The fuzzy, free-floating FINBACKS - As slippery as eels, these inflated, lighter-than-air creatures fly, flutter and flap their wings as they quickly close in to their targets. When you get a special icon on the die you can move a Finback twice in a row! The toxic, tremor-triggering TURBOTURTLES - These rocket-propelled micro monsters are blazing hot from the flames that escape their exhausts, so hot that when they are going at full throttle no one can touch them! Get a special icon on the die and one on your Turboturtles can’t be captured! A Micro Monsters match between two players can be played under fifteen minutes, while three or four players’ games last no more than half an hour on average.